Have you ever wondered about what goes on at the Farm at Middle Campus? Join us for a workday and find out! We’ll be working from 11:00 am – 2:00 pm on Sunday, November 11. 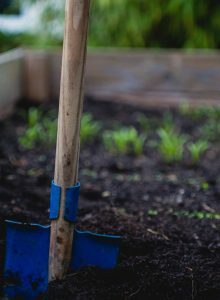 Drop in anytime to help turn compost, care for the chickens, and plant herbs and winter crops. Bring your refillable water bottle, garden gloves, and your willingness to get a little dirty. All families are welcome, but elementary students must be accompanied by an adult.